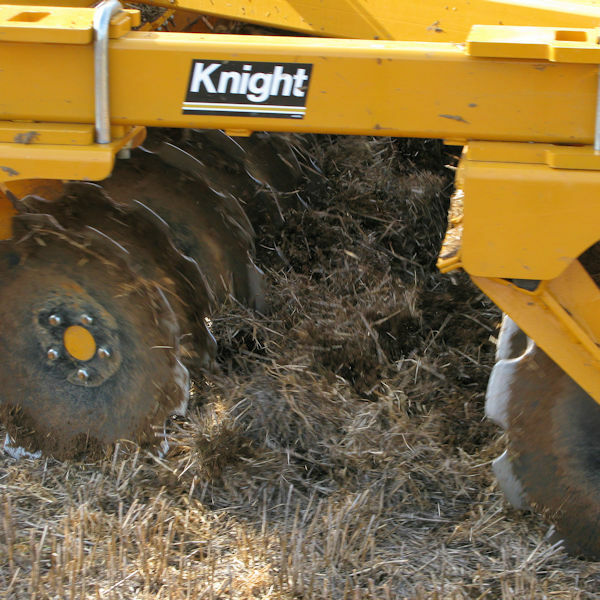 The Knight Triple Press is a heavy-duty cultivator that can be configured to your individual needs. 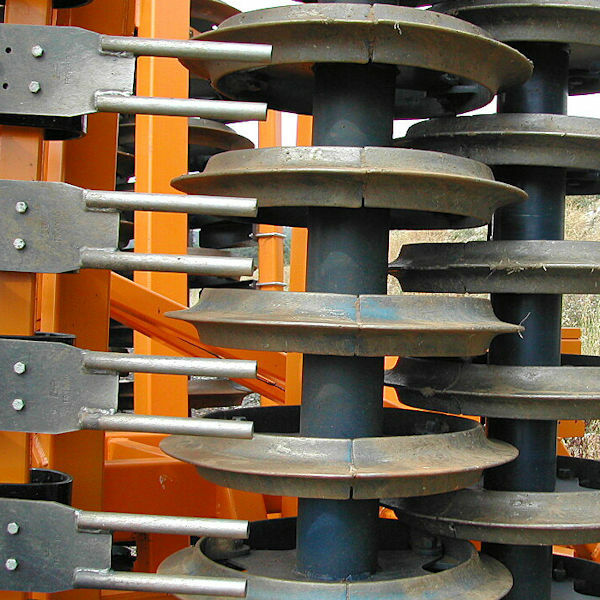 It can be fitted with up to four rows of individual cultivation elements which are followed by the unique Triple Press “Revolver Ring” packer in single or double row configurations. The shouldered design ensures an even depth and therefore lower draft whilst the sharp point quickly penetrates the surface and packs the subsurface. The resulting weather-proof finish makes an ideal stale seedbed for optimum weed-seed germination. Speed-loc points make a quick job of optimising the cultivator to the conditions. We offer a full range from a narrow chisel point through to a 12” sweep A share. 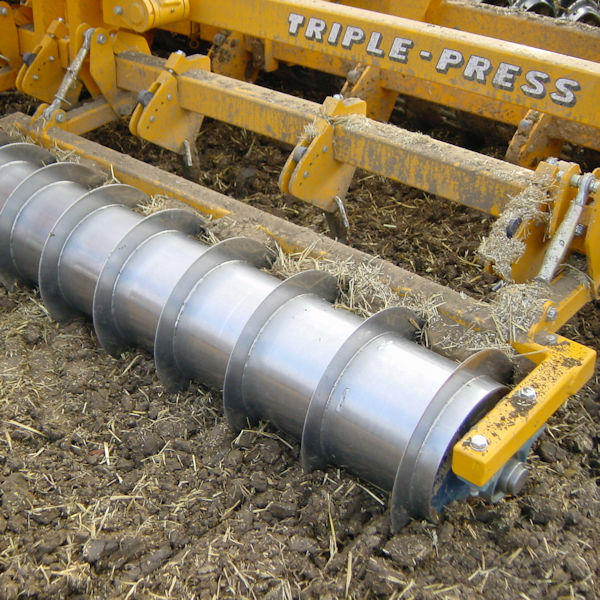 The front roller provides excellent depth control and cuts surface trash to avoid blocking the cultivator. It performs equally well on stubble or cultivated land and is particularly effective at levelling ploughing and presenting a level surface to the cultivation elements. The hydraulically adjustable, sring loaded levelling tines provide both a cultivating and levelling action without carrying an excessive amount of soil therefore creating significantly less draft than a levelling board. They are positioned to ensure the clods of soil are crushed by the press rings. Large dimeter discs, shallow working tines or deep working tines are just a small selection of the cultivation elements that can be used in a Triple Press.